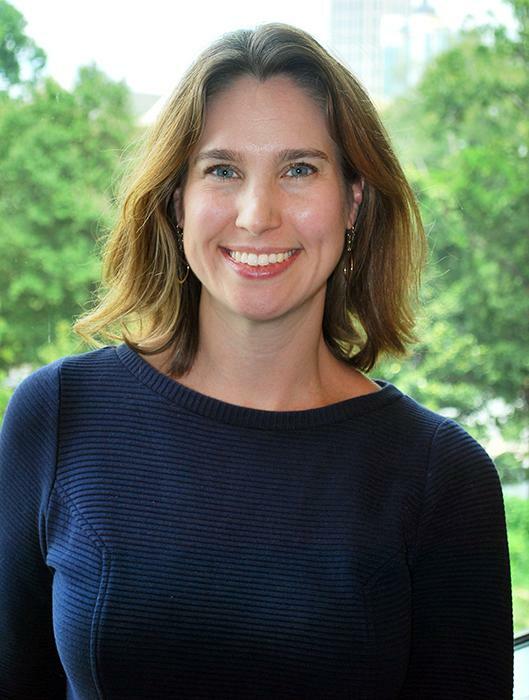 The National Cancer Institute (NCI) has awarded Melissa Kemp, associate professor in the Wallace H. Coulter Department of Biomedical Engineering at Georgia Tech and Emory, and a multidisciplinary team of researchers a five year, $3.2 million grant. The researchers aim to identify metabolic features in head and neck cancers that are predictive of tumor response to a new chemotherapeutic drug, ß-lapachone, currently in clinical trial at the University of Texas-Southwestern (UTSW). Fellow leaders of the project are David Boothman, Ph.D., from the UTSW Medical Center and Cristina Furdui, Ph.D., from the Wake Forest School of Medicine. Joshua Lewis, an Emory M.D./BME Bioinformatics Ph.D. student in Kemp’s lab, developed a genome-wide model of metabolism in head and neck cancer that explained why the cytotoxicity to ß-lapachone differed between radiation-sensitive and radiation-resistant cancer cells. The research team identified new molecular targets for enhancing cell death with the drug—validating the results with a 332 gene RNAi screen. The modeling analysis suggests that the radiation-resistant cells rerouted metabolism and altered the enzymatic cycling of ß-lapachone, rendering them more susceptible to the chemotherapy. “I’ve learned through this project how devastating head and neck cancer (HNC) is for patients, and the incidence of HNC is particularly high here in the Southeast compared to the rest of the US,” said Kemp, a researcher with the Petit Institute for Bioengineering and Bioscience at Georgia Tech. Head and neck cancers include cancers of the larynx (voice box), throat, lips, mouth, nose, and salivary glands. As part of the award, the researchers will join and participate in the NCI Cancer Systems Biology Consortium. The multidisciplinary Cancer Systems Biology Consortium, funded by the National Cancer Institute, aims to tackle the most perplexing issues in cancer to increase our understanding of tumor biology, treatment options, and patient outcomes.